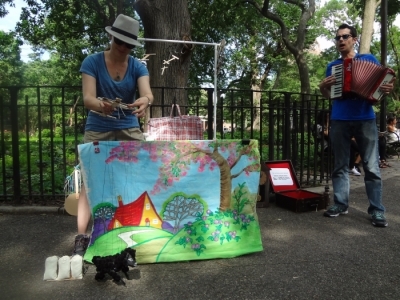 Find a Marionettist Act for hire near you in minutes! Option 1. Enter your event location below & contact a Marionettist Act directly! Option 2. Request multiple quotes from available Marionettist Acts Get Quotes! Option 3. Read information & advice on hiring Marionettist Acts Read Advice! What exactly will marionette acts do at your event? Hire a Marionette Act for your event and you’ll get a talented puppeteer pulling the strings, artfully constructing a puppet show which will fascinate audiences who are lucky enough to be present! Think of a Marionette, and you may think of the popular 1960’s Thunderbirds series that aired in Britain. Yes, we can all see the strings attached, but the magic is in the motion and you’ll be astounded when you see the puppets come to life! The hired Marionettist will turn up at your event and perform a well rehearsed show with either a solo puppet or a multitude of puppets. They’ll have a host of classic stories and fairytales for you to choose from which may include ‘Little Red Riding Hood’, ‘Goldilocks and the Three Bears’, ‘The Three Little Pigs’, ‘Pinocchio’ and many more! As well as children’s Marionette shows, there are also plenty of Marionette shows aimed towards a more adult audience. These shows have a very artistic tone with anything from satire to full ballets being performed by a live Marionette Act! Mainly, a Marionette Entertainment company will delight you and your guests with a fantastic show which will put the wow factor into celebrations and impress everyone! What event types are marionette acts hired for? The wedding drinks reception will be the ideal time to hire a live Marionette performer to captivate the children at your wedding! Whilst the adults are mingling with each other, munching canapés and sipping on those precious first glasses of bubbly, a professional Marionettist can be hired to take care of the children’s entertainment! Due to the fact that the art of puppetry is a mobile and adaptable performance, the Marionette Act can perform anywhere at your wedding drinks reception. Whether the wedding drinks reception is being held at an inside venue or an outside venue, the hired Marionette will put on a show that will engage children (and some adults too!) such as ‘Beauty and the Beast’, ‘Humpty Dumpty’ or ‘Hansel and Gretel’. The chosen Marionette may additionally have his or her own puppets/characters that they perform their own stories with, so the possibilities are endless! Use our personal messaging service to enquire with the experienced Marionette about which puppet to use and what type of story you want told at your wedding drinks reception! Maybe you are looking for a perfect act to perform at a children’s assembly? If you are organising entertainment for an event such as World Book Day (usually held every year on the 3rd of March), then you might want to hire a Marionette to entertain at the school assembly by telling a classic children’s stories in the form of a puppet play! Books are important for so many reasons. They inflame the children’s imagination and are good for things such as stress. Hire a professional Marionettist to perform a children’s story (or a section of a children’s story) such as ‘James and the Giant Peach’, ‘Matilda’, ‘Peter Pan’ and many, many more! This will no doubt captivate the children enough to entice them into reading the whole story themselves! World Book Day is an important date in the diary for libraries. Why not hire a Marionette to astound the children at your local library and get them interested in the best children’s stories ever?! How about hiring a Marionette for a product launch in your shopping centre or shop? You can search our directory for an experienced Marionette who will most certainly get the attention of passersby with unique character puppets who can be telling jokes and stories, dancing and singing or simply being a general pest! This will definitely create a buzz around your stall/shop and will bring the attention to your product that you deserve! You may be looking to hire a walk-around entertainment at your Summer fate, Winter festival or cruise ship? A Marionette will be a totally unique type of entertainment that children will find fascinating to watch! The puppets will come in many forms such as zoo animals, clowns, court-jesters and more! Book a Marionette for a children’s birthday party and you will have a form of children’s entertainment which is creative, artistic and above all else, fun! The hired Marionette can be set up anywhere and can either work as a walk-around entertainer at the children’s party, or they can perform a full live show on a stage. The puppets are on average 18-inches tall, so there will be plenty of opportunity for every child to see the show! Most of the children’s puppet shows on offer will be interactive, so you can expect a lot of excited shouting from the children lucky enough to view the production! Hiring a Marionette will be like having your very own mini theatre show in the comfort of your own home or hired birthday venue! You can expect the stories to have plenty of children’s humour within them and you can also expect traditional stories to have modern twists thrown in! 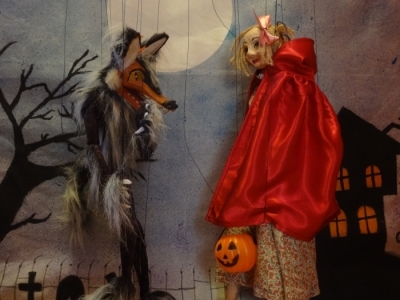 If you are looking for a great performer for your Halloween party this year, then we highly recommend hiring a professional Marionettist to perform! The lights can be dimmed or turned off completely as the Marionette recites classic ghost stories using state of the art puppets and intricate string control to create something that will be both magical and spooky! Looking for entertainment for your Christmas show? Hire a professional Marionettist for your Christmas entertainment and you won’t be disappointed! The talented puppet-master will be able to recite classic Christmas tales such as ‘The Night before Christmas’, and ‘A Christmas Carol’ as well as throwing in some of his or her own Christmas stories. This will be a magical event for everyone involved and your children’s imagination will be alight with the stories the puppets tell! Contact a Marionette on our site now for a no strings attached quote! How much do marionette acts cost to hire? Our simple to use entertainment directory allows you to firstly search for the best Marionette Entertainment Hire companies who are local (or travel to your area) and then via the contact form you may message them directly to enquire for a no obligation quote to put on a display at your event. Some Marionettists will also add a rough price guide to their profile for your convenience. What are the usual set formats and performance lengthS for marionette acts? The usual set time for a Marionette is around 1 hour. The performance can be tailored to your needs however, so if you only require their services for a 30 minute stint, then this can be arranged via our personal messaging services. How much space will marionette acts need at your event? The size of the sets and puppets may change depending on what size Marionette puppet you choose. You can use our personal messaging service to enquire with the Marionette Entertainment company to find out what size the puppets and sets are together. What equipment and set up requirements do marionette acts need? As with most of the event service companies who sign up to Entertainersworldwide.com, a Marionettist will provide all of their own equipment which will include the puppets, any sets used and more! How can you find and book marionette acts with Entertainersworldwide.com? WANT TO RECEIVE A RANGE OF QUOTES FROM Marionettist Acts?